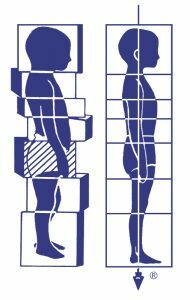 The uniqueness of ROLFING® lies in its holistic approach to human organism. The main technique is releasing the fascial web, which connects all the body parts forming one complete unit. The renewal of the fascial web’s flexibility improves your mobility and the body’s natural balance. This directly affects not only the movement, but also the function of neural, vascular, lymphatic and digestive system. Therefore it has a beneficial effect on the organism as a whole. Notable improvements on the physical level bring new changes in the perception of oneself. They eliminate stress or anxiety. The result is well-being: an emotional balance, maturity and a healthy self confidence. ROLFING also has an educational character. It draws the client’s attention to the changes made and it helps him perceive and understand the changes between the old and new movement tendencies or the changes in body posture. This way it enables the client to maintain these changes in his body for a long term.